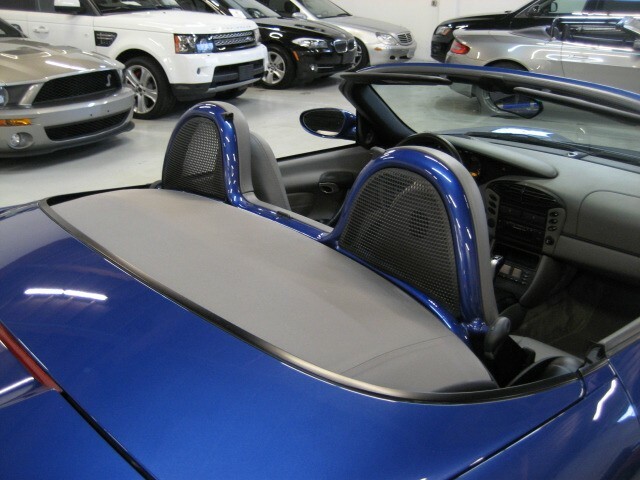 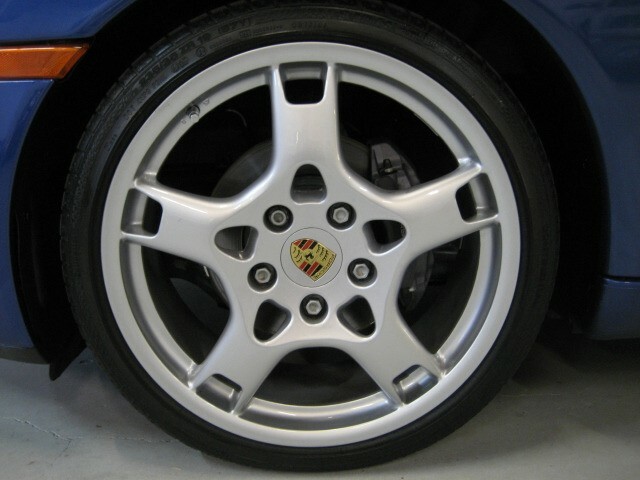 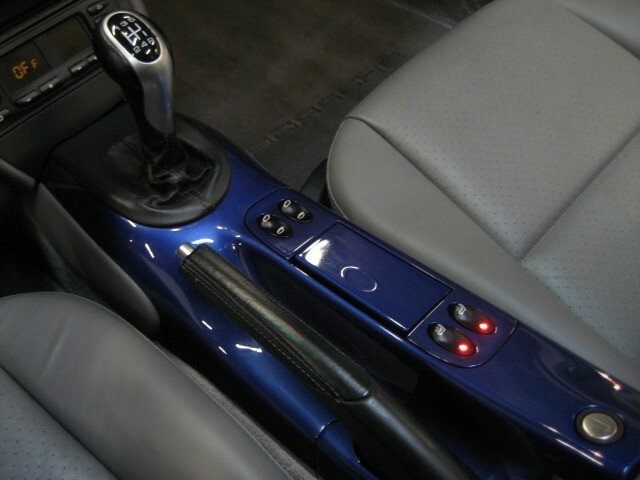 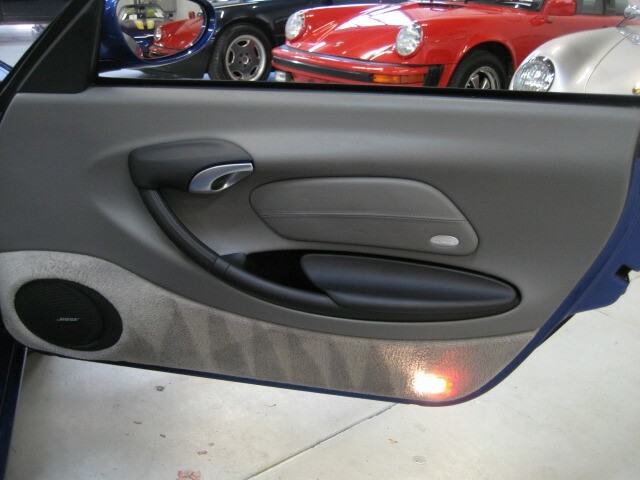 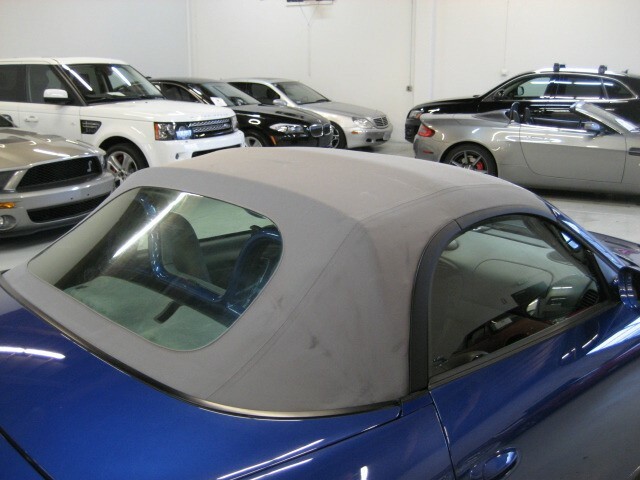 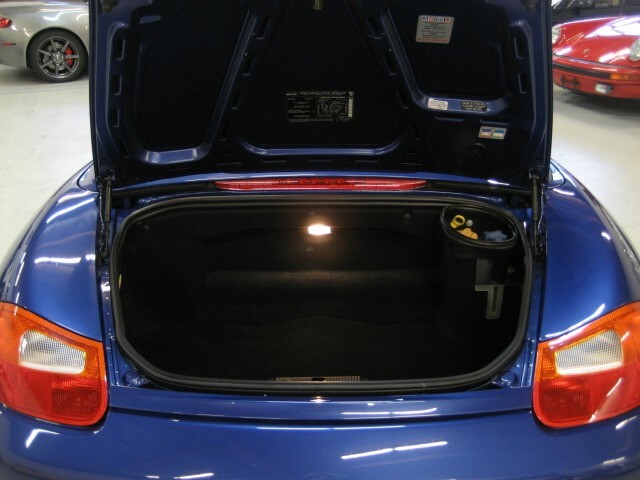 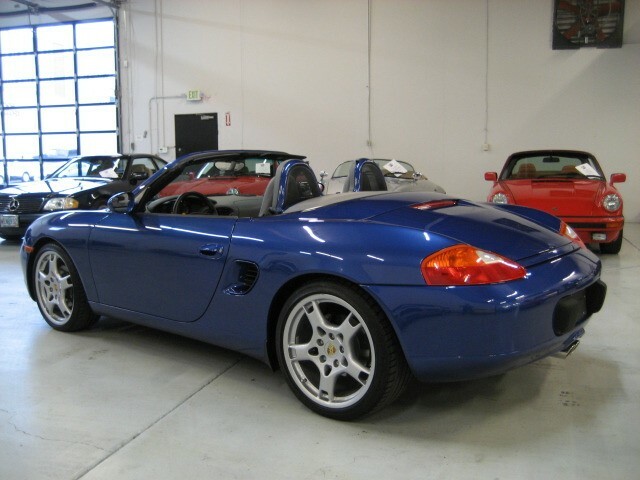 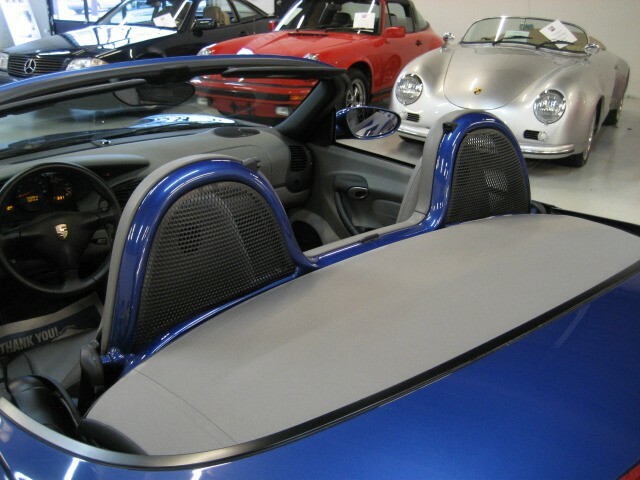 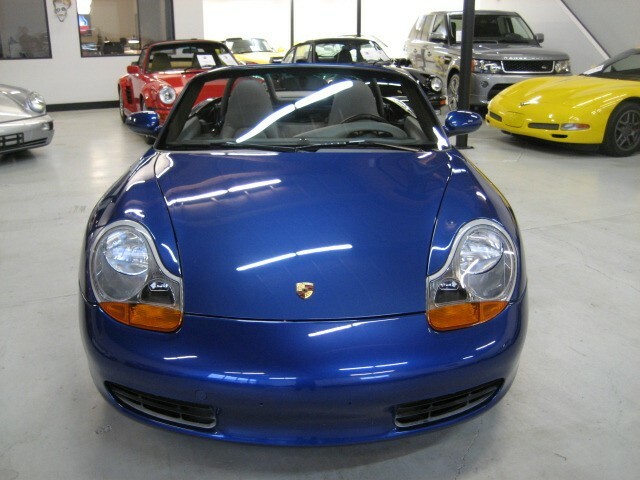 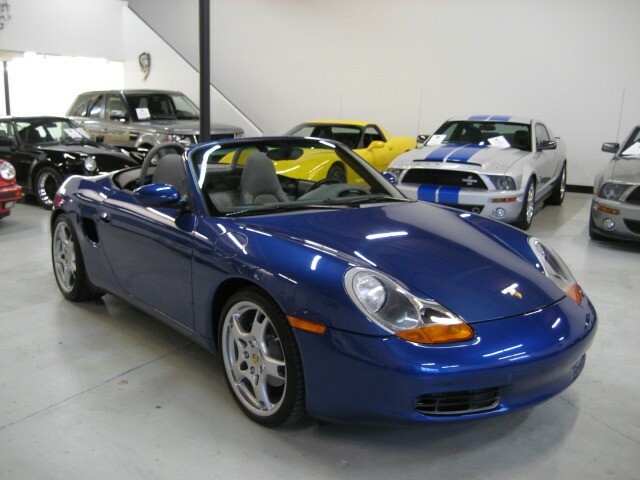 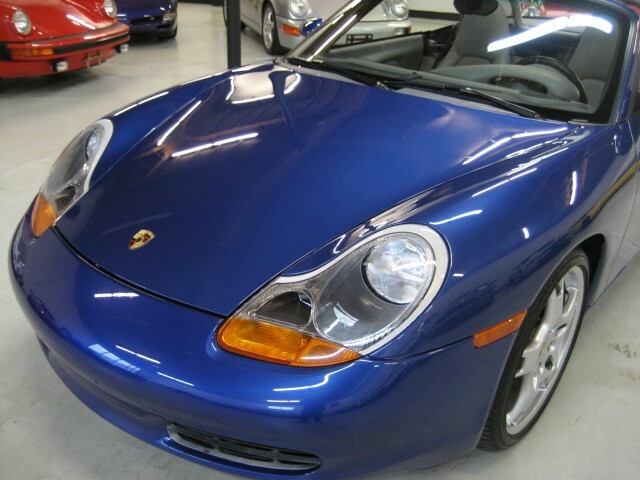 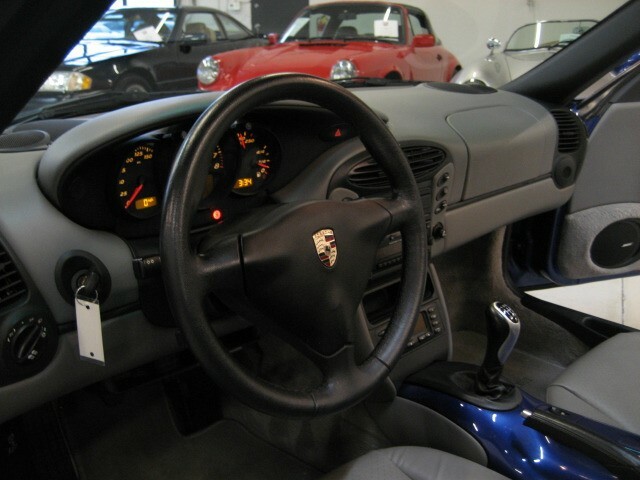 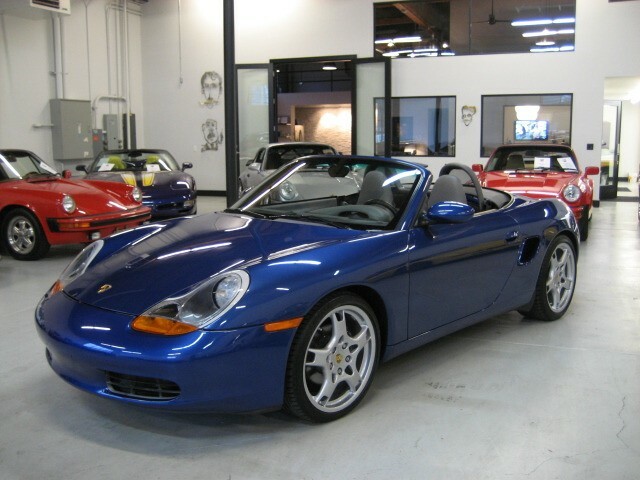 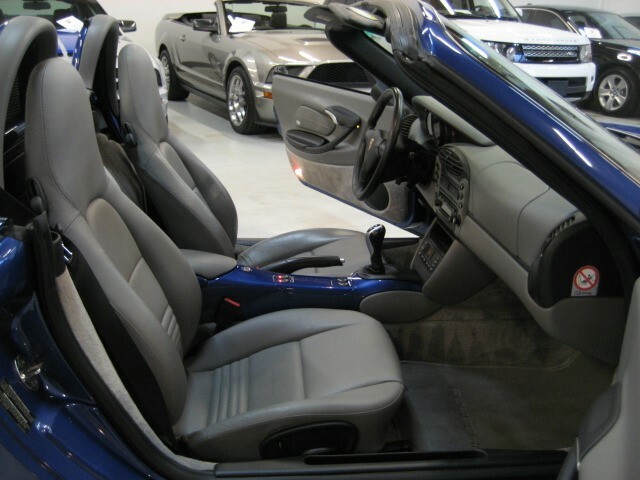 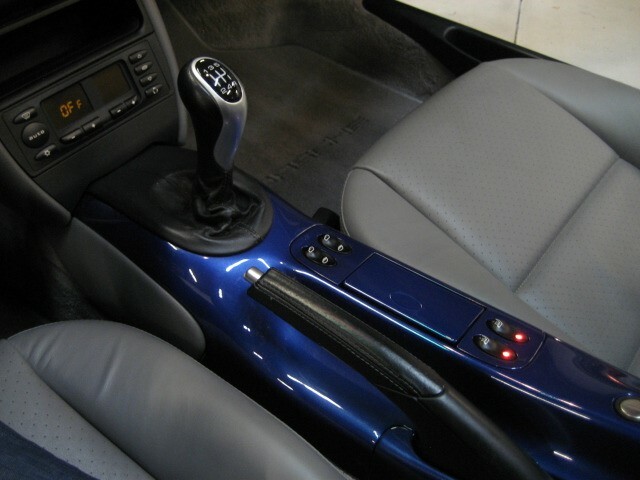 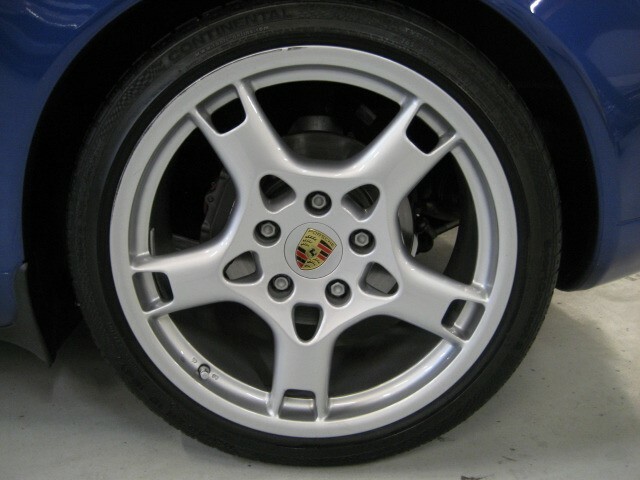 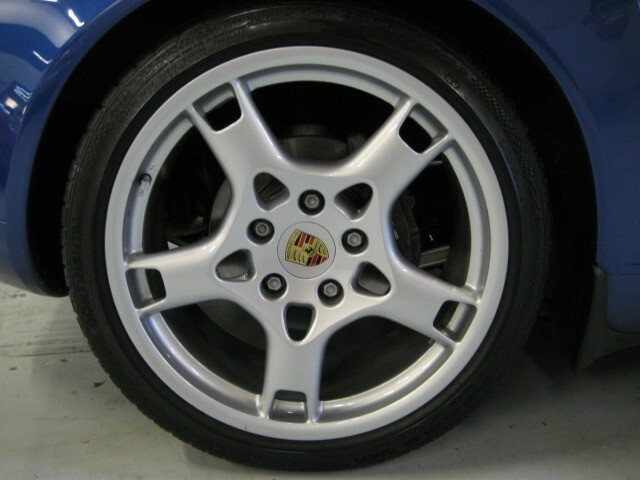 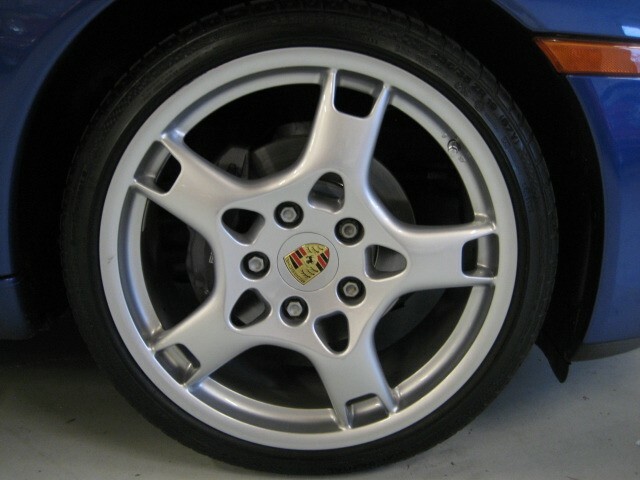 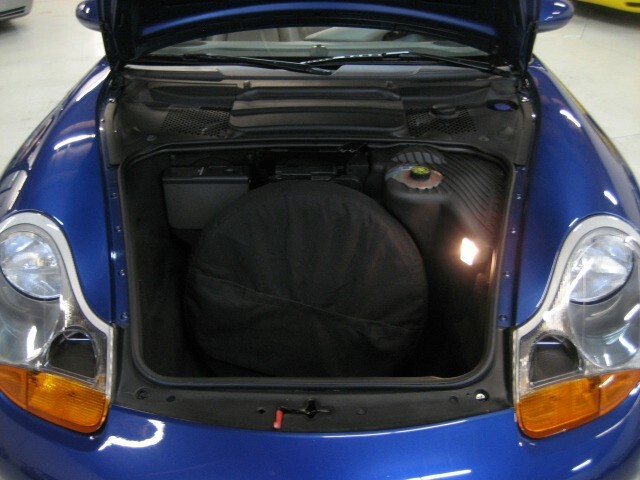 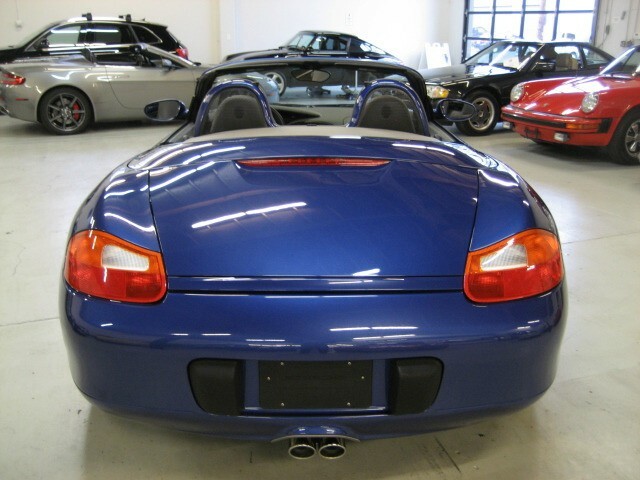 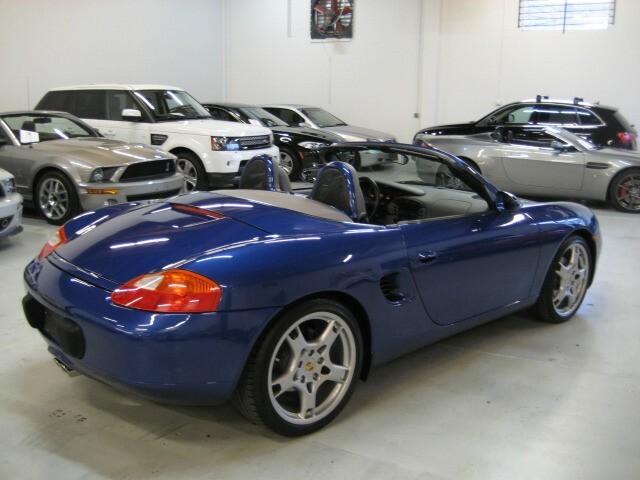 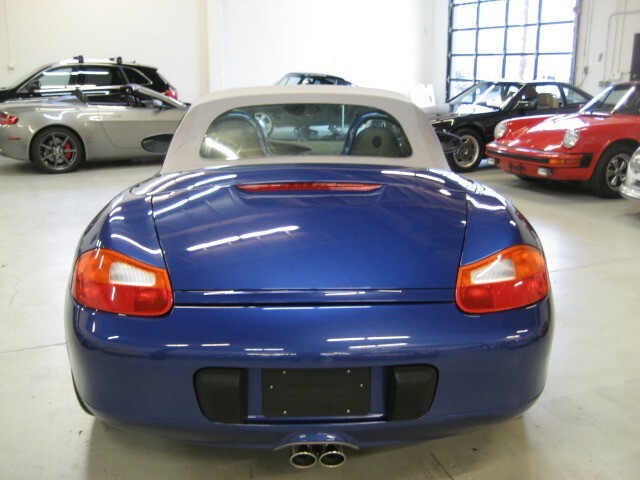 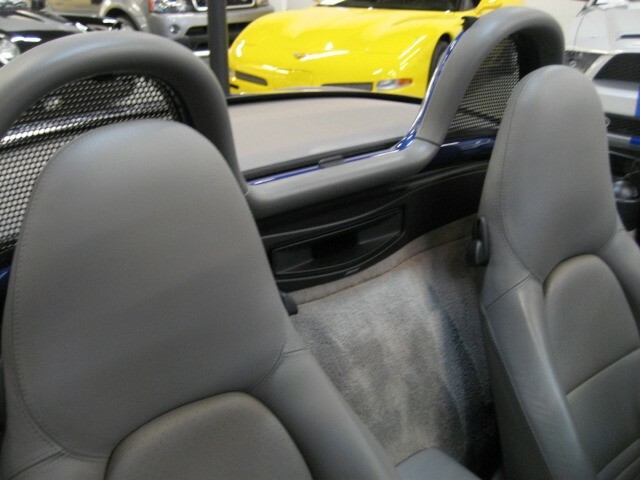 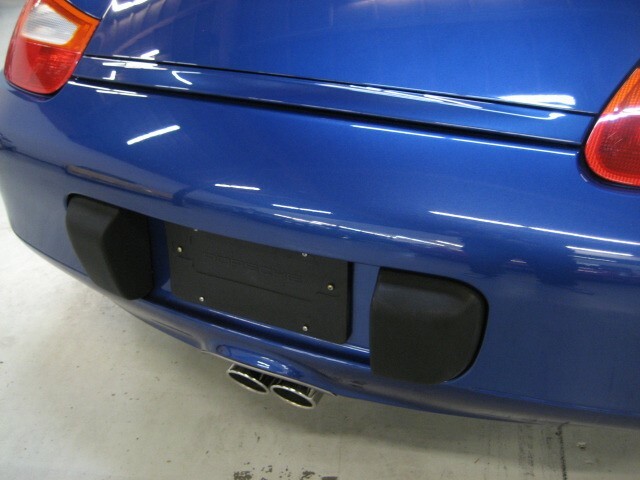 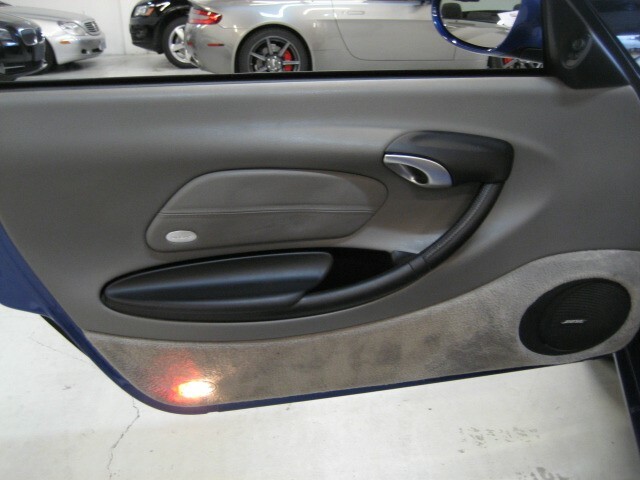 Striking 2002 Boxster in Cobalt Blue Metallic with Graphite Grey Leather. 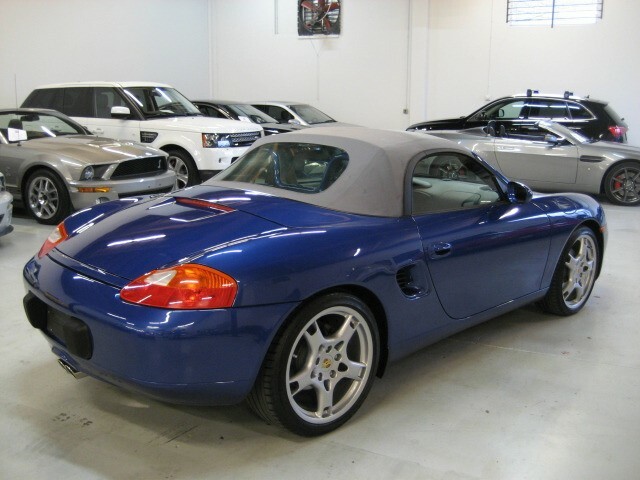 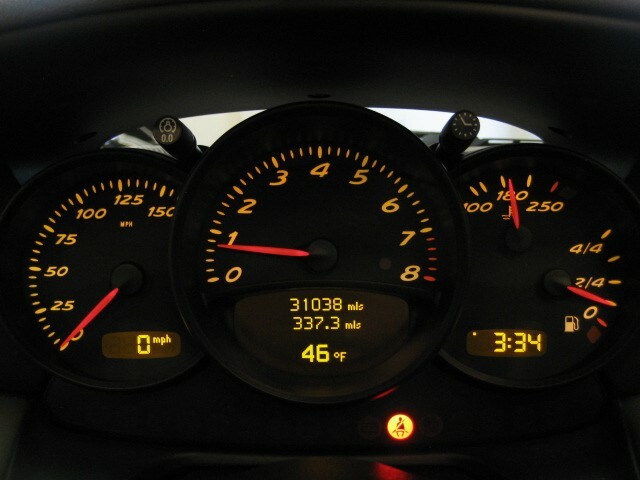 Only ONE OWNER since new, purchased by a physician in El Dorado Hills, CA that kept it tucked in Garage most of the time with only 31,038 miles driven in the last 12 years. 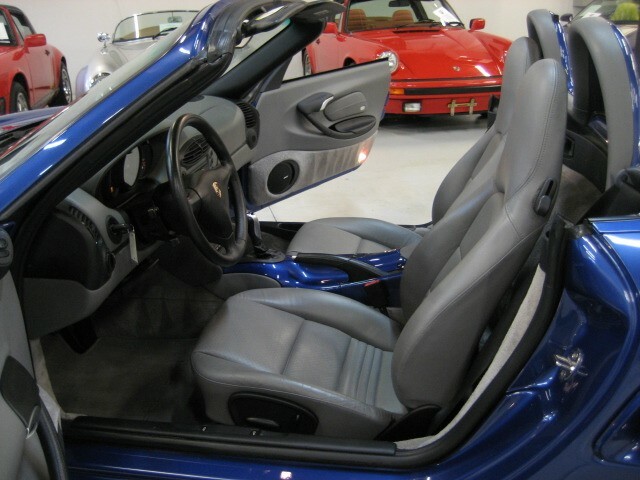 Car is spectacular, Paint, Body and Interior are stunning. 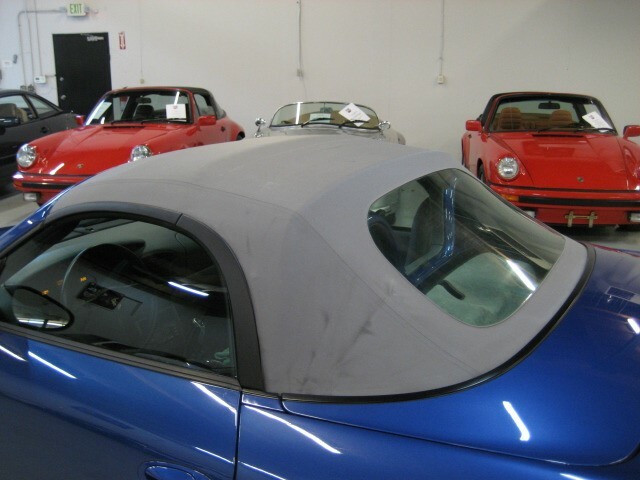 Soft top still in nice condition, rear window still clear. 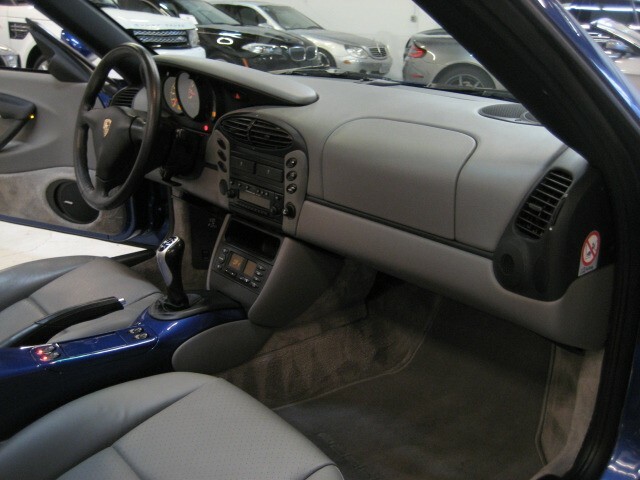 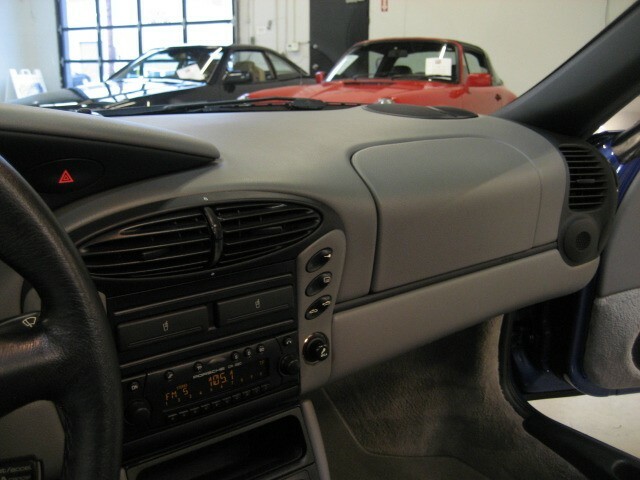 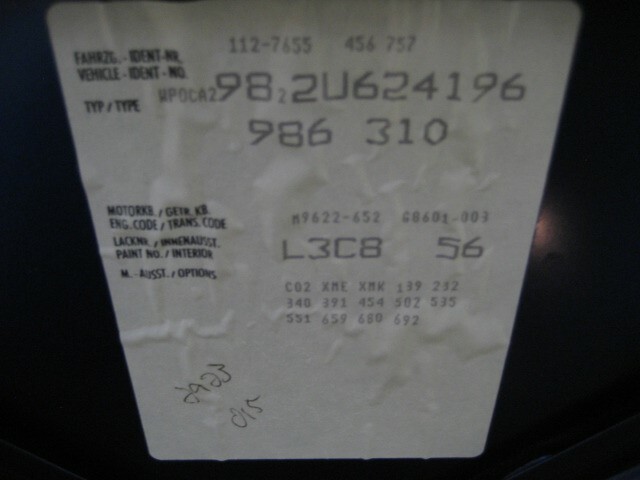 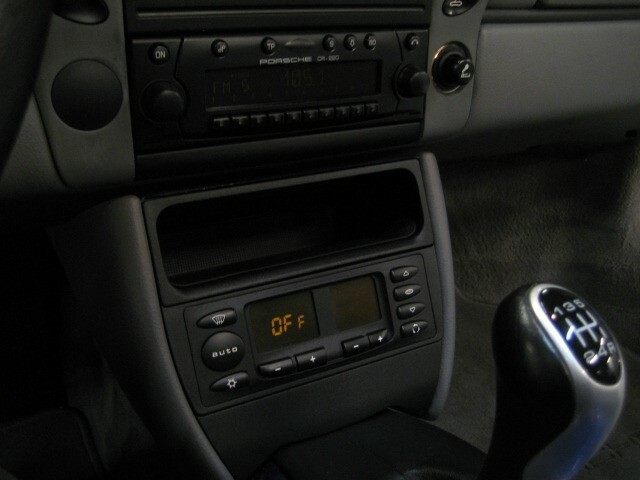 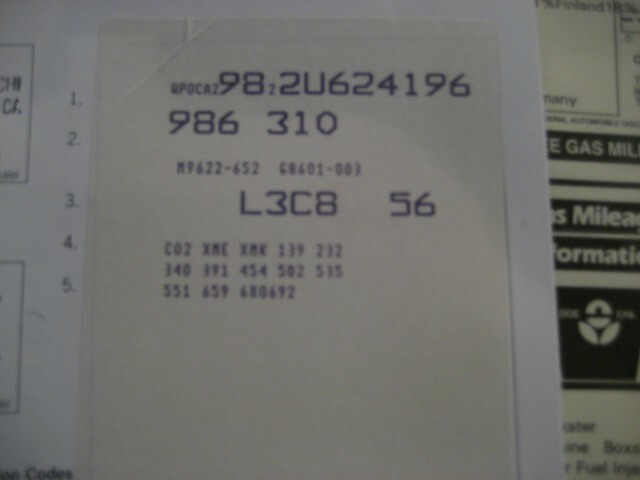 Leather still glove soft, car still smells new ! 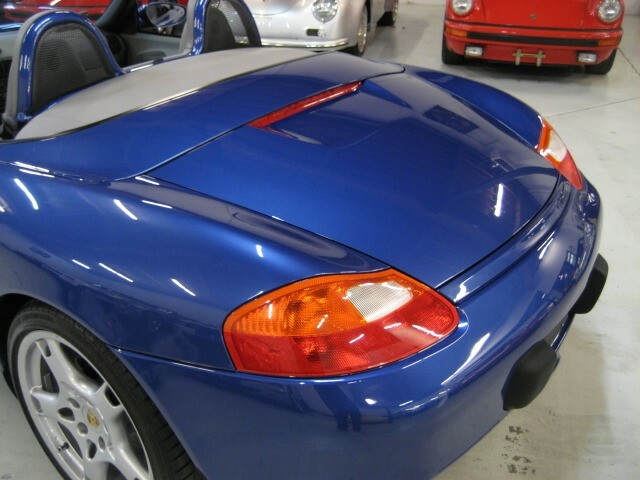 Well serviced and very well kept. 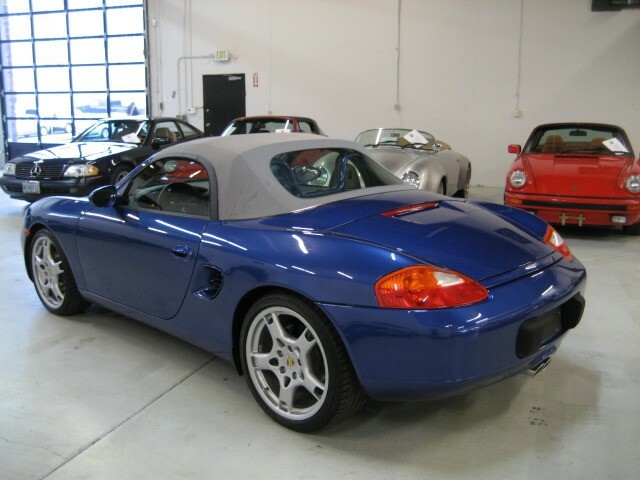 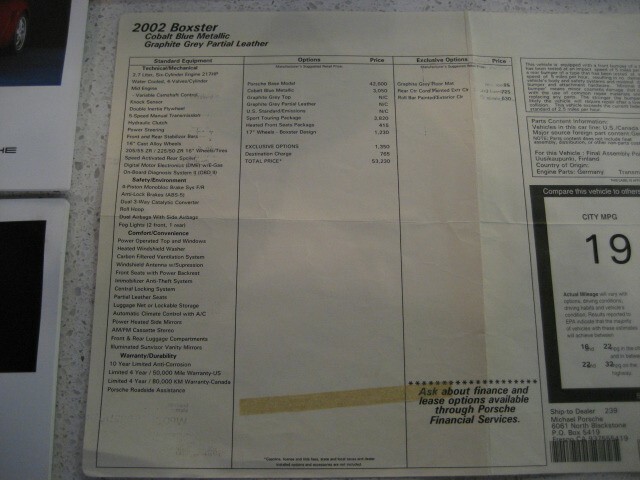 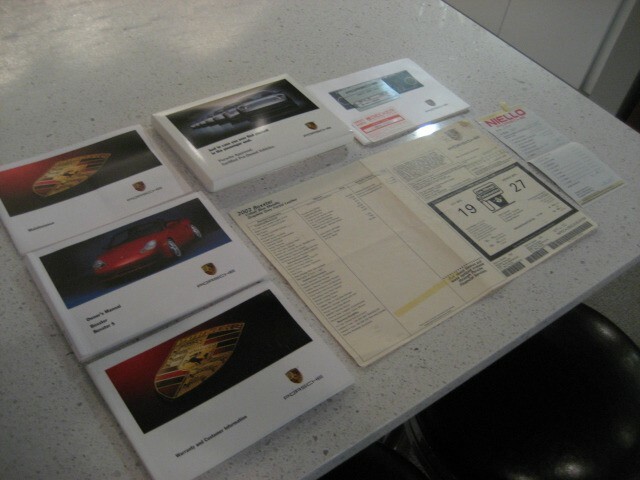 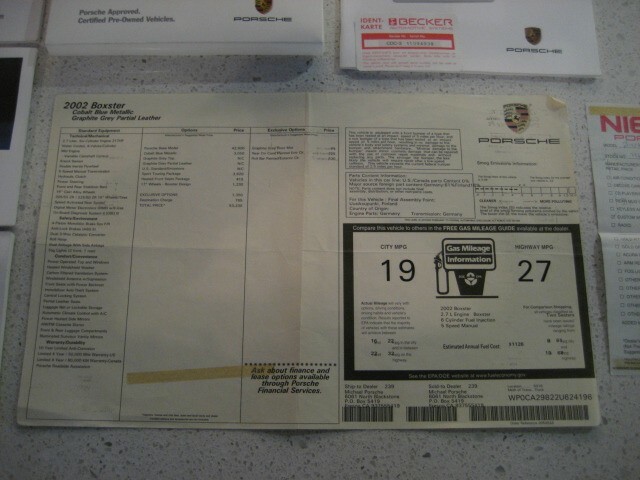 Sport Touring Package with Paint to sample Center Console and Roll Bars, Lobster Claws, Trip Computer, 3-Spoke Sport Wheel, Heated Seats and more...Has all it's Books, Original Window Sticker, etc.